SPW GmbH of Bremerhaven, Germany, is a technological world leader in the design and precision manufacture of the most advanced sailing propellers available today, both feathering and folding types. 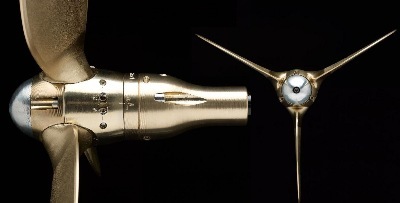 In 2000 NAUTILUS PROPELLER, Toronto, was chosen as exclusive Canadian distributor to introduce the line in North America. Our expertise in the complex field of marine propulsion and our total commitment to service and customer satisfaction has led to over 1000 happy skippers in Canada alone. They have been our best advertisement and a host of testimonials from delighted customers is available upon request. 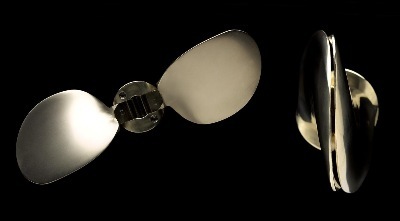 The unique ability to tailor individual proposals drawing from world’s largest selection of feathering and folding propellers in 2-blade, 3-blade, and 4-blade configuration, allows us to recommend the optimal solution to each sailor’s needs, preferences and budget. VARIPROP is the flagship feathering propeller that over the past decade has built the most enviable reputation as the finest, most robust, reliable, and best performing propeller of its kind available today. Delivered fully assembled, balanced, lubricated and individually tested, ready to install on any shaft without disassembly or modifications necessary. 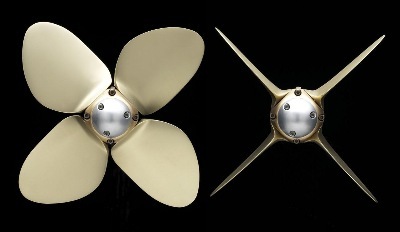 VARIPROFILE feathering propeller is the latest addition to the VARI-family of fine sailing propellers. It is especially designed for the modern fin keel production yacht. VARIPROFILE propellers are available in 2-blade and 3-blade configurations for engines up to 140 hp. They offer complete fine tuning for forward and reverse pitch. Building on the proven features of the VARIPROP the most significant technological advance is the incorporation of the HI-TECH GAWN/KAPLAN blade profile. Normally associated with high-speed power boat and aircraft propeller blades the Gawn/Kaplan blade profile delivers outstanding efficiency with the result that the VARIPROFILE delivers speeds normally associated with fixed propellers or the best folding propellers. The innovative use of modern high-strength materials (QPQ liquid Nitriding) for the carefully machined helical gears allows a hub of small diameter and a streamlined shape resulting in a very low sailing drag. The VARIPROFILE is unique in that the hub is a separate piece from the blade/gear assembly. With a wide range of pitch adjustment available the blade/gear assemblies can be easily matched to any hub. In the event of a repower or rotation change a new blade/gear assembly can therefore be attached to the existing hub. With all these advancements available at a lower cost, the VARIPROFILE represents a modern example of MORE FOR LESS ! VARIFOLD folding propellers are the choice for the ultimate in sailing speed coupled with delivering the greatest thrust under power. Designed by SPW in Germany and now manufactured by BRUNTON’S Propellers in the UK, VARIFOLD propellers are available in 2, 3 and 4-blade models for boats from 20 feet to Megayachts.